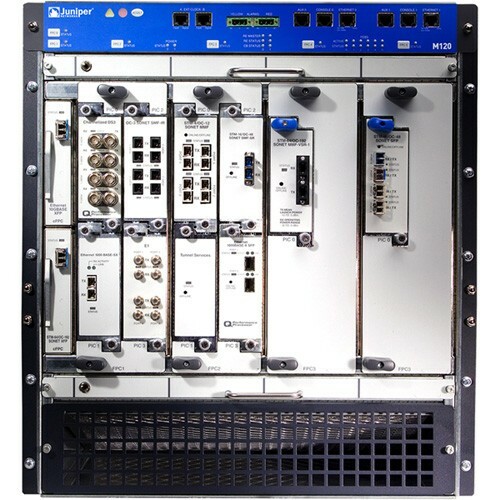 The Juniper Networks M120 Multiservice Edge Router reaffirms the technology leadership of Juniper Networks, featuring key advancements in redundancy and scale. The M120 supports a non-disruptive migration to Ethernet services in both metro and WAN environments, while maintaining the integrity of revenue-generating legacy services based on ATM and Frame Relay. The M120 platform reaffirms the technology leadership of Juniper Networks, featuring key advancements in redundancy and scale. 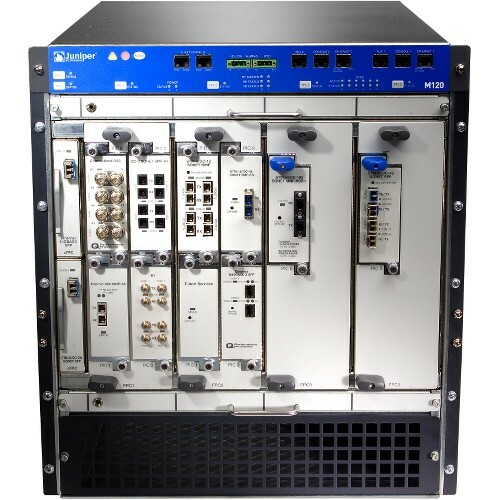 The M120 supports a non-disruptive migration to Ethernet services in both metro and WAN environments, while maintaining the integrity of revenue generating legacy services based on ATM and Frame Relay.